The Wildlife Investigator Program was inspired by the many participants that we have enrolled in our Junior Keeper program. 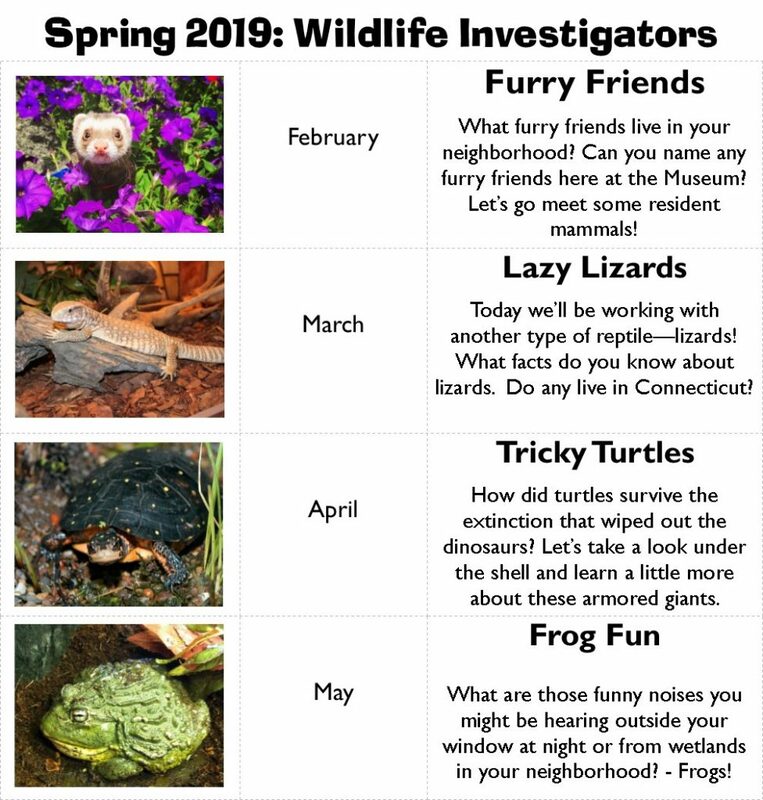 The goal of Wildlife Investigators is to provide a stepping stone for younger students to gain basic knowledge about animals and nature. Each four part session will focus on one of our Wildlife Sanctuary residents. You will be with Sanctuary Staff and volunteers learning about and interacting with a new animal each month. Classes are scheduled on Saturday from 10:00 a.m. to 10:45 a.m.